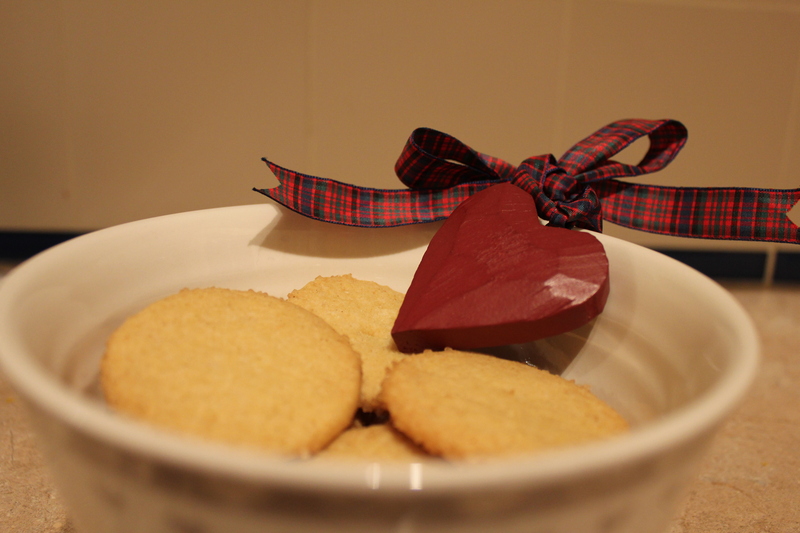 A special wee Scottish-themed baking post for St. Andrew’s Day weekend. 1) Preheat the oven to 180C (170C fan or Gas Mark 4). 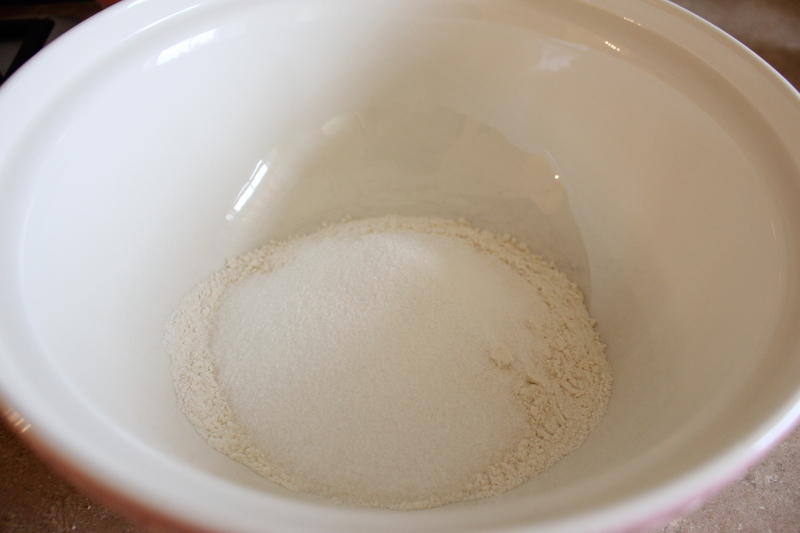 Measure the flour and sugar into a large bowl and mix together. 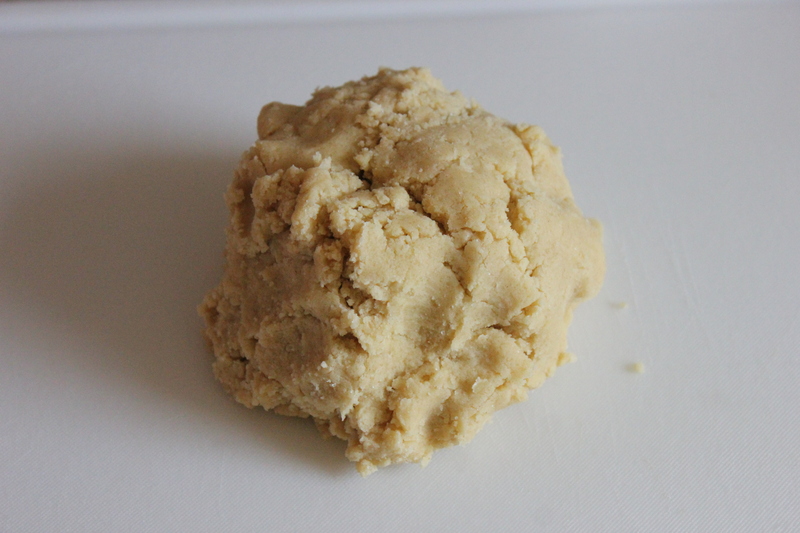 2) Add the butter to the mixture – I find it’s easier combined if you chop it into wee bits like this. 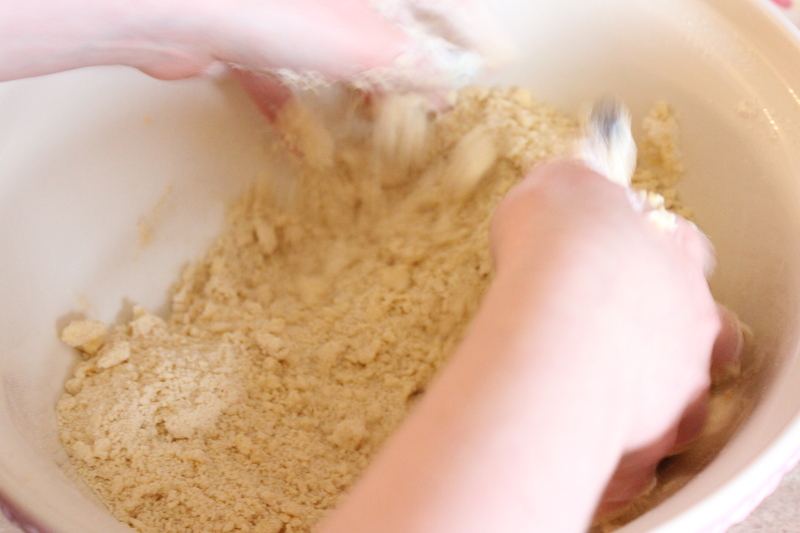 3) Next, you want to bring all the ingredients together, working them with your hands (as if you’re making a crumble). 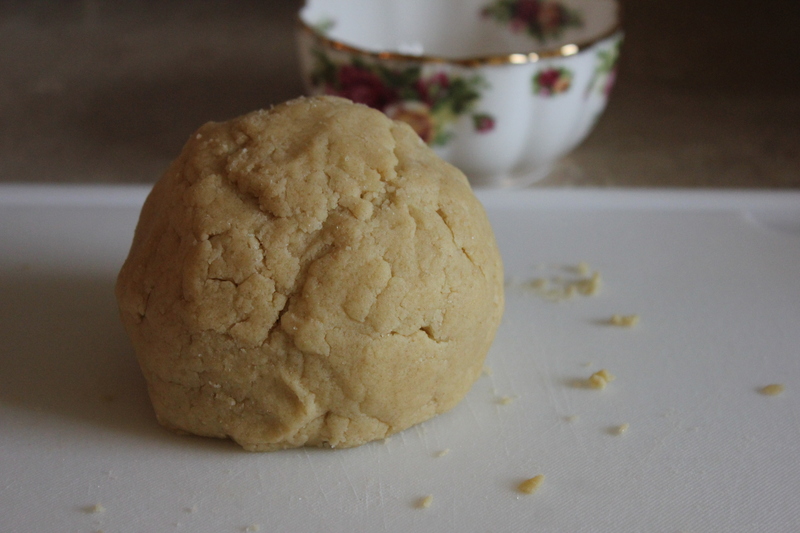 The key here – and in all stages really – is a light touch, and not over-handling the mixture or it will become heavy and chewy once baked. 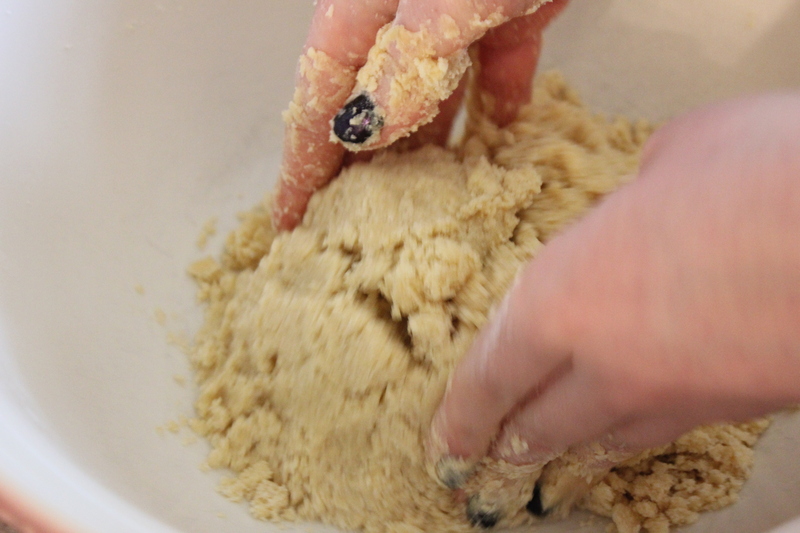 4) The mixture should begin to come together into a ball. 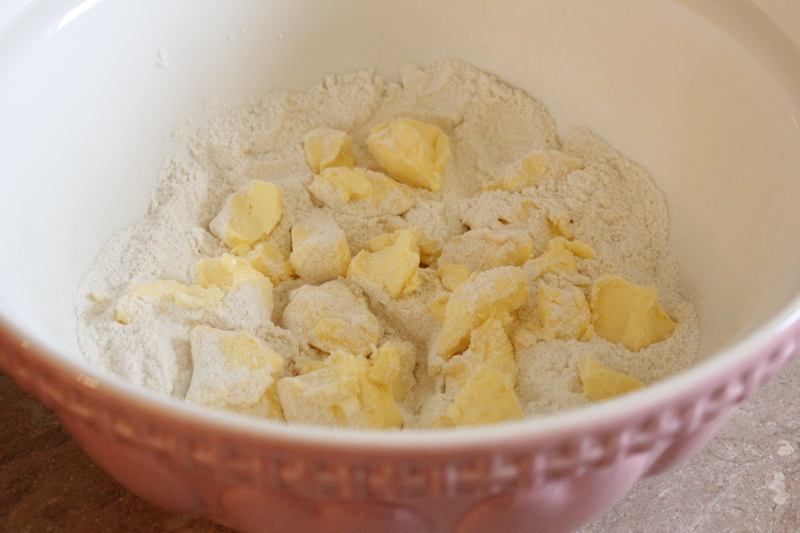 5) Turn your mixture out onto a board. 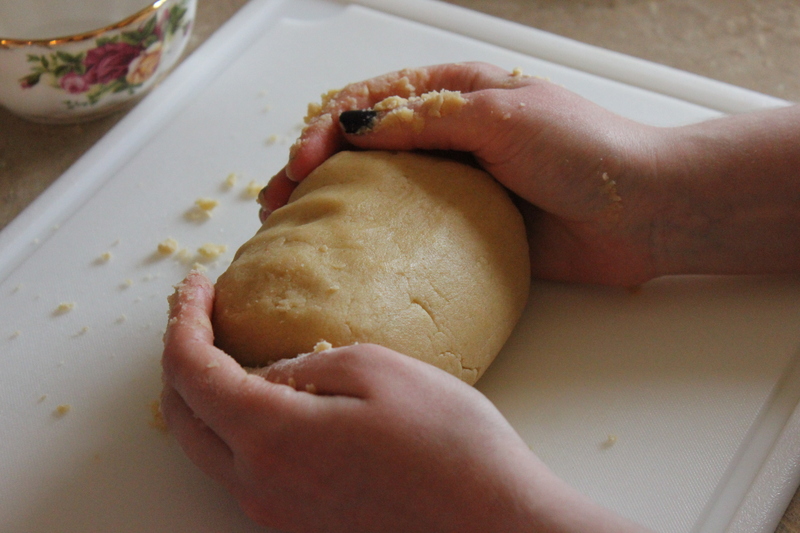 6) The shortbread will be crumbly and hard to handle, but I try to give it a wee knead to make it nice and smooth, before rolling. 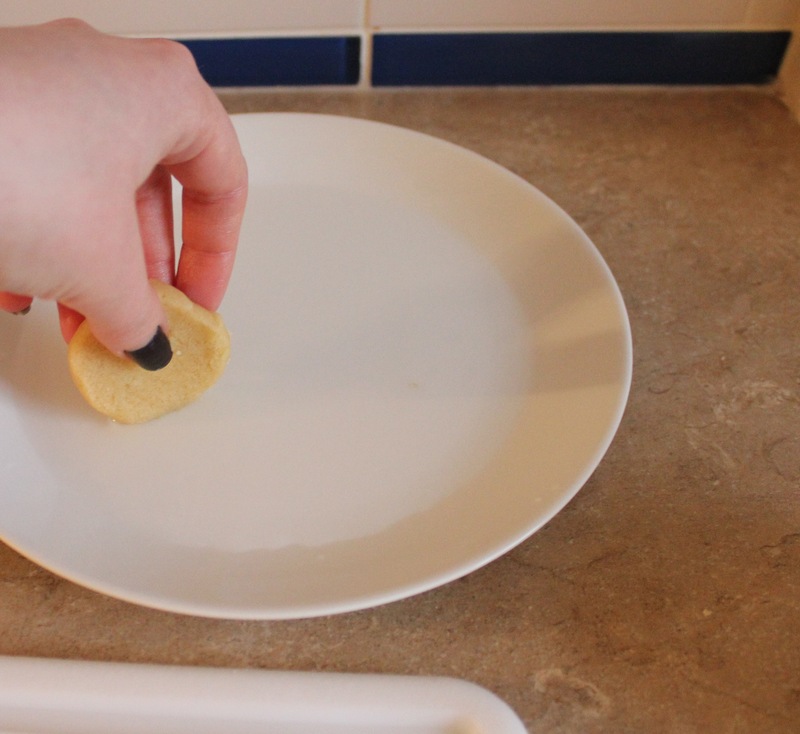 7) Roll your shortbread into a long sausage shape with your hands. 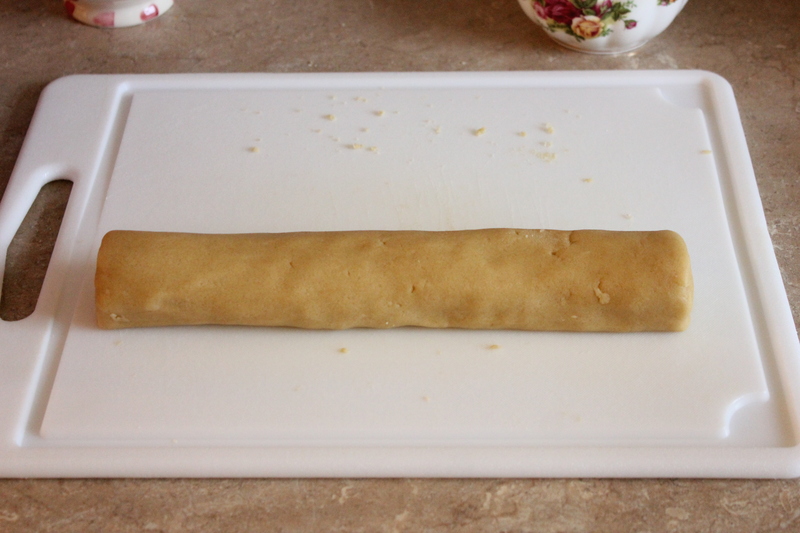 Next, pop it into the fridge for 20 minutes or so – this is advisable so it’s nice and firm for cutting (the high butter content can make it increasingly hard to handle). 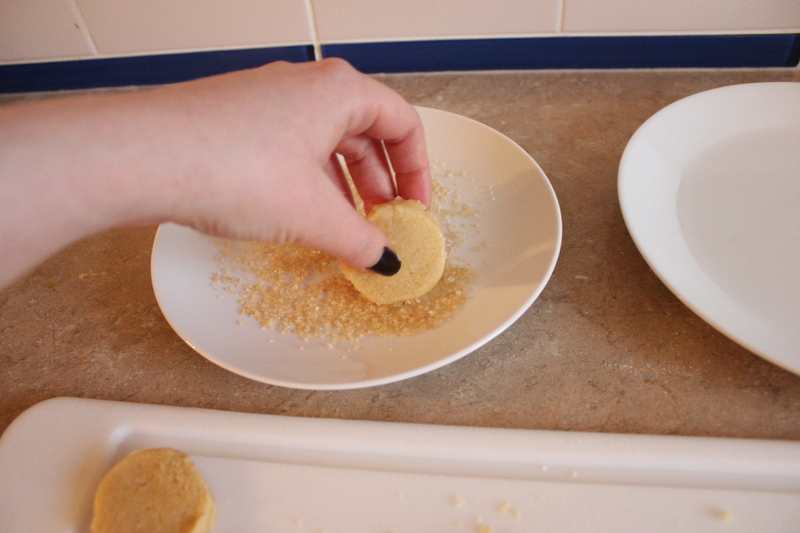 8) Remove your cooled shortbread from the fridge and cut it into two halves (I then put the half I’m not cutting back into the fridge to stay cold). 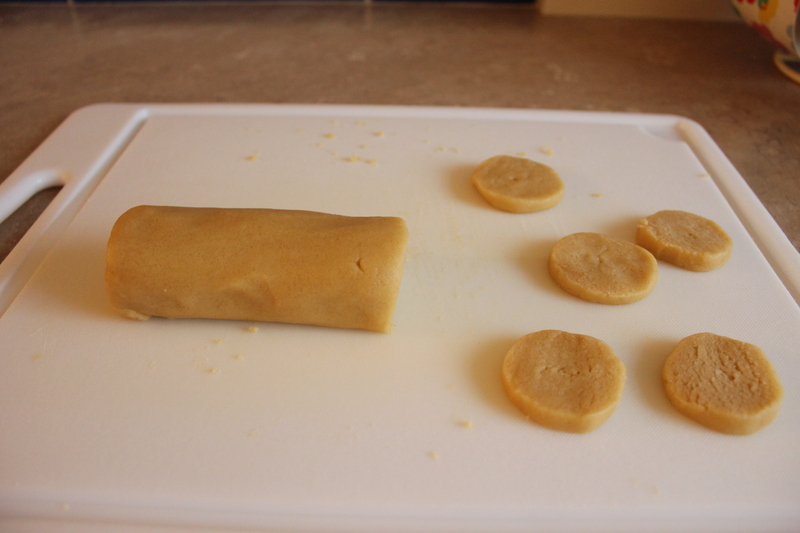 Cut the dough into thin, even circles – you want them all to be the same shape and thickness so they cook evenly. (You might need to neaten them a little as you go, as the underside of the circle usually comes out flatter than the rest). 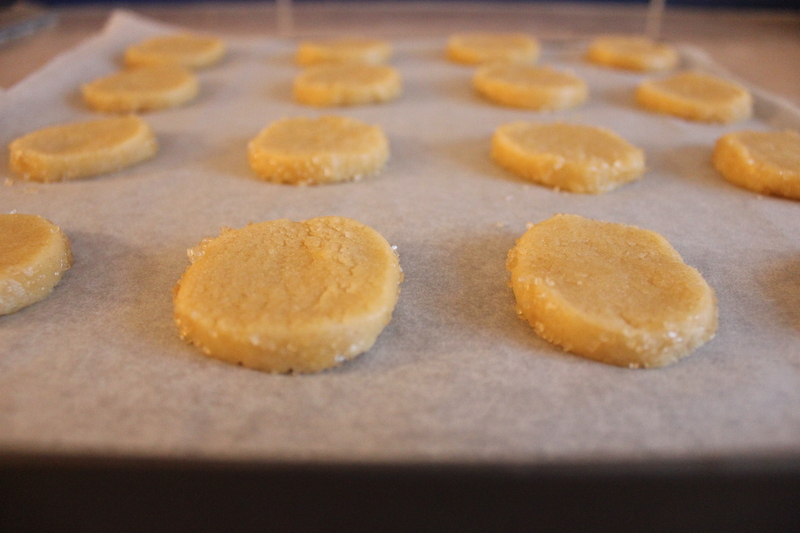 9) Dip the edge of the biscuit in a tiny amount of water (I put this in a shallow dish) before rolling in Demerara sugar so it gets a nice, even coating of sugar. 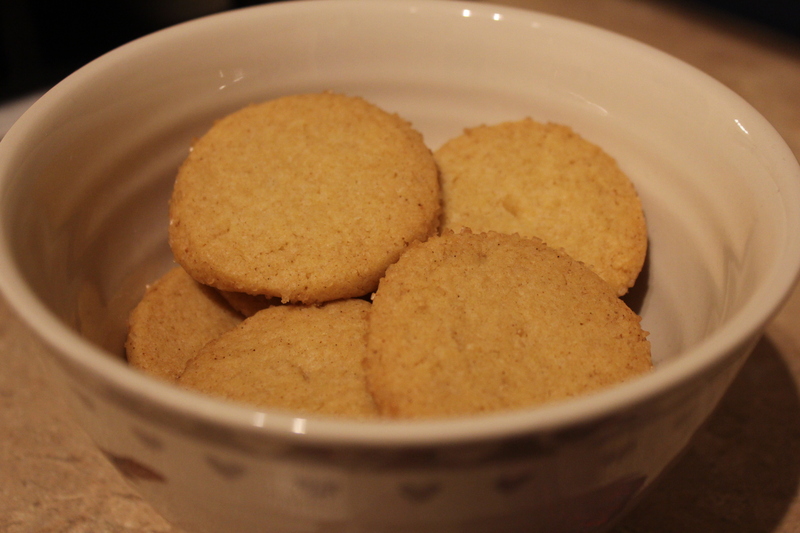 10) Repeat for each biscuit, placing them on parchment-covered trays as you go. 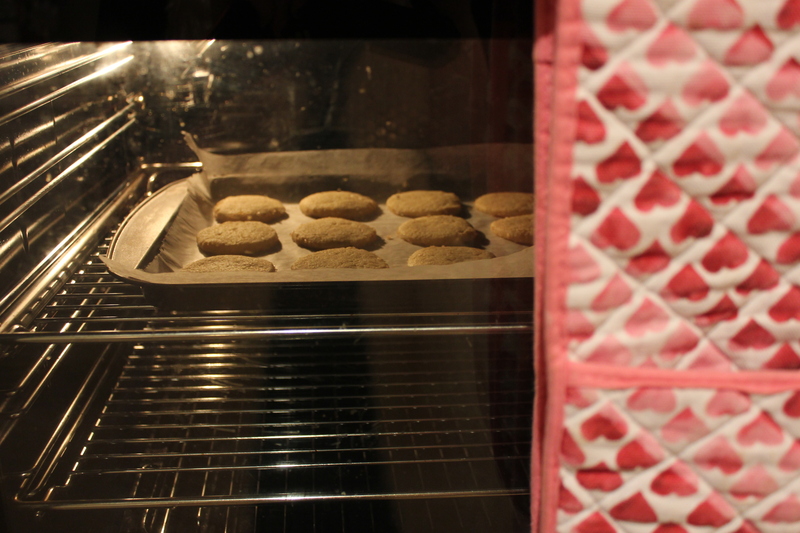 11) Bake in the oven for approximately ten minutes. I can’t give an exact timing – it has honestly varied for every oven I’ve cooked in! 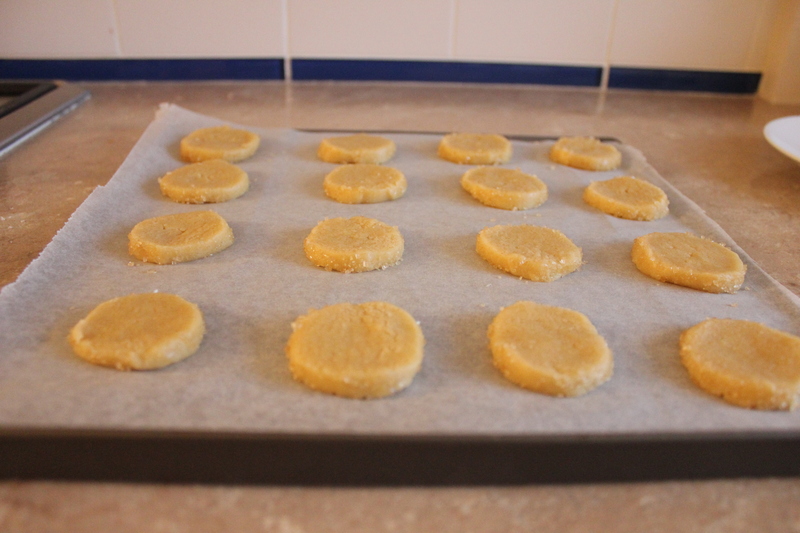 So know your oven and watch your shortbread like a hawk – they go from peely-wally to golden to burnt in the space of what seems like seconds. You have been warned! 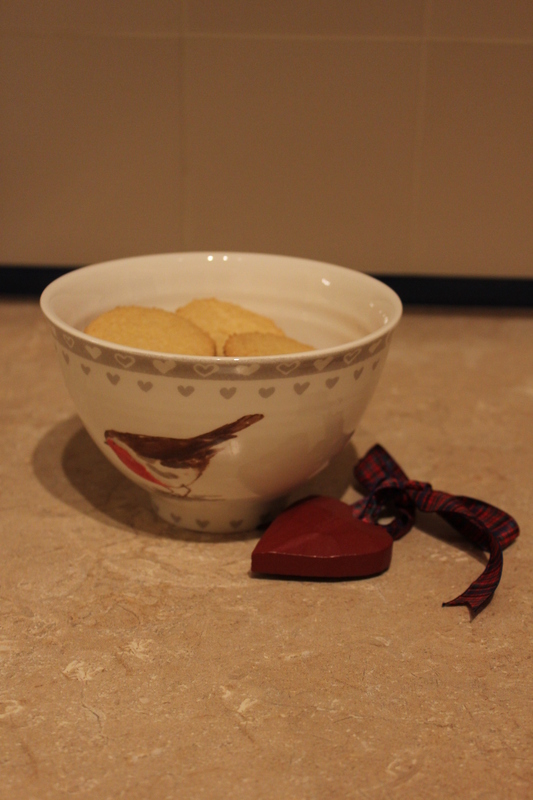 Tartan ribbon and suitably seasonal bowl optional! 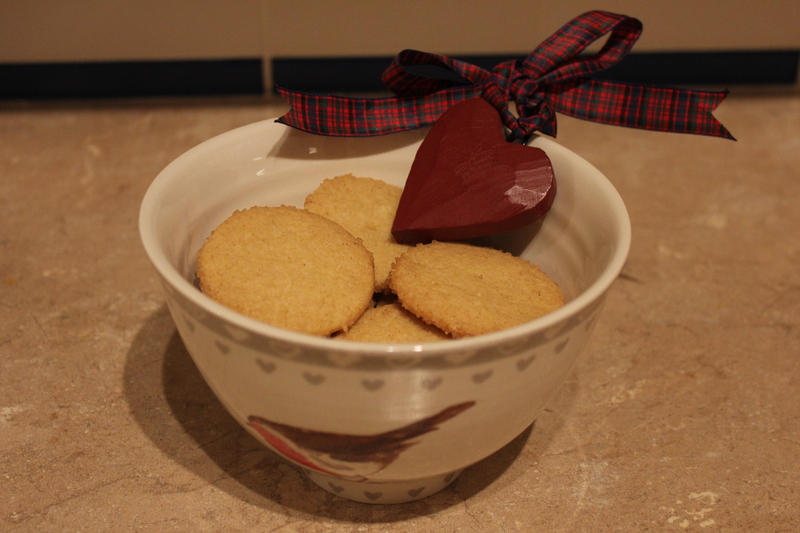 Have you tried shortbread? 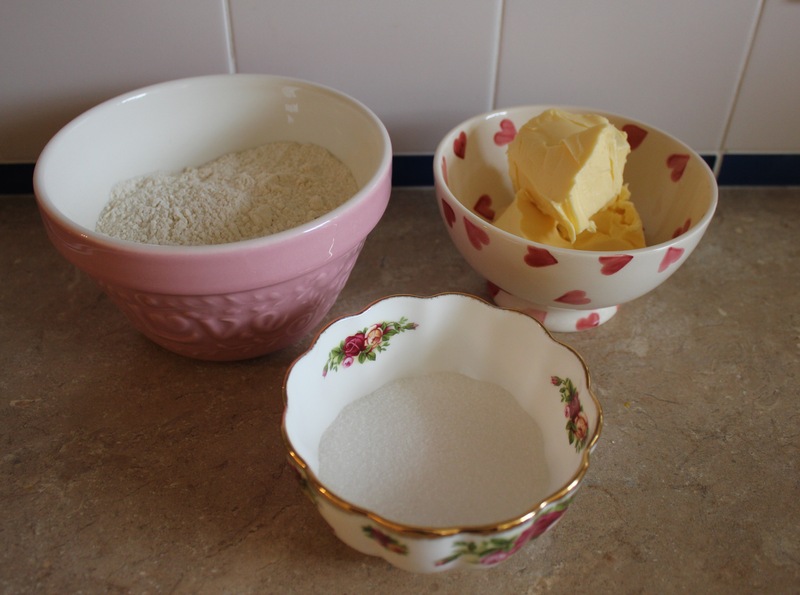 Do you have a national bake? I bet it smelled great baking.